Well I've been MIA a bit. My apologies. I hadn't even realized how long it had been. And I really don't have an excuse. I've just been adjusting to life back in California...which consists of training for about 3 hours a day, eating and sleeping. I can't really complain. But I suppose I need to start thinking about what I want to do with my life. Okay that was boring. What else can I tell you. I miss Australia. And summer. At least its been a pretty mild winter here so far. The sun has been shining almost every day since I've been back so thats nice! Anyway, on to the spaghetti squash. If you've cooked this before then I apologise again for boring you, but if you haven't then get excited! 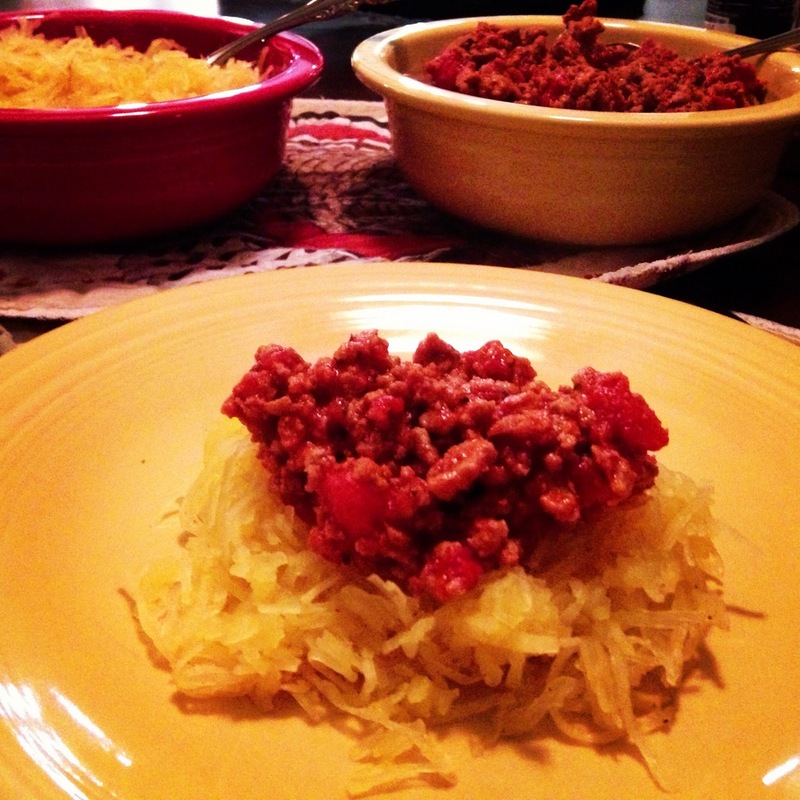 Spaghetti squash didn't seem to exist in Australia so I was majorly deprived! Now I'm in heaven. I could eat this every night. So here's how to cook it, and here's a simple turkey marinara sauce to top it off with, but if you have a favorite pasta sauce feel free to try that atop this amazing veggy! Remove from oven and let cool, then using a fork scrape out the squash into a bowl so that it comes out stringy like pasta!